Take a full-body approach to anti-aging—from the inside out! Neutratone Advanced Anti-Aging Supplements provide the necessary nutrition for maintaining youthful skin, bones and hair. Discover the essential vitamins and nutrients for combating the signs of age while promoting a healthier, more beautiful you! Encourages healthy teeth, bones, and joints. Helps maintain support normal muscle tone. I originally got two bottles only because I know from experience with supplements that it does take time to see results. But WOW these are great. Not sure if its just me but my hair feels stronger and my energy is noticeable. 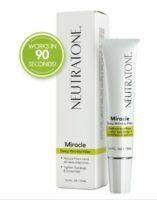 For beauty that’s more than skin deep, supplement your efforts at anti-aging with the ultimate in age-defying nutrition. 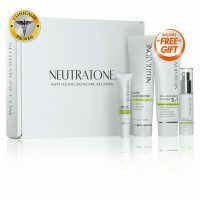 Neutratone Advanced Anti-Aging Supplements round-out your Neutratone skincare regimen with the most effective vitamins, minerals and nutrients for supporting a healthy, younger-looking body. 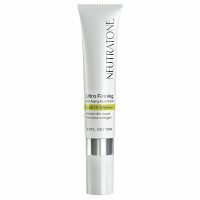 A nourishing blend of essential fatty acids and antioxidants, these daily supplements work to illuminate the skin, strengthen nails, maintain healthy bones, and promote hair growth. 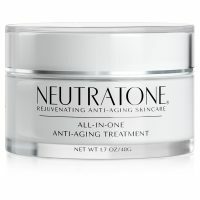 Neutratone Advanced Anti-Aging Supplements are especially recommended in Neutratone reviews for their role in promoting smooth, youthful skin. Hydrolyzed Collagen: This collagen protein provides the major building materials for the growth and maintenance of nails, hair and skin as well as muscles, tendons, cartilage and teeth. Biotin: Also known as Vitamin H, Biotin supports collagen production for fuller, younger looking skin. It also promotes healthy hair and repairs brittle nails. 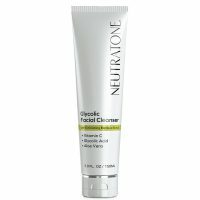 Methylsulfonylmethane (MSM): An abundant source of sulfur, MSM supports the skin’s structural framework and also builds keratin, the chief structural constituent of hair and nails. Argan Oil: Rich in vitamin E and antioxidants, Argan Oil protects the skin against visible signs of aging. 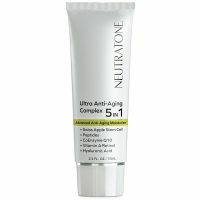 Comprised of a powerful combination of the best anti-aging vitamins and minerals for the ultimate in healthy skin maintenance, Neutratone Advanced Anti-Aging Supplements offer a nutritious solution to aging skin, brittle nails, and dull, thin hair. 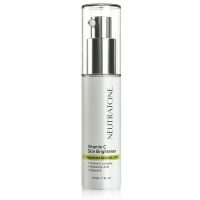 A rich source of antioxidants necessary for preventing signs of age in the first place, these supplements also work to reverse the wrinkles, dullness, and dryness already present in aging skin. 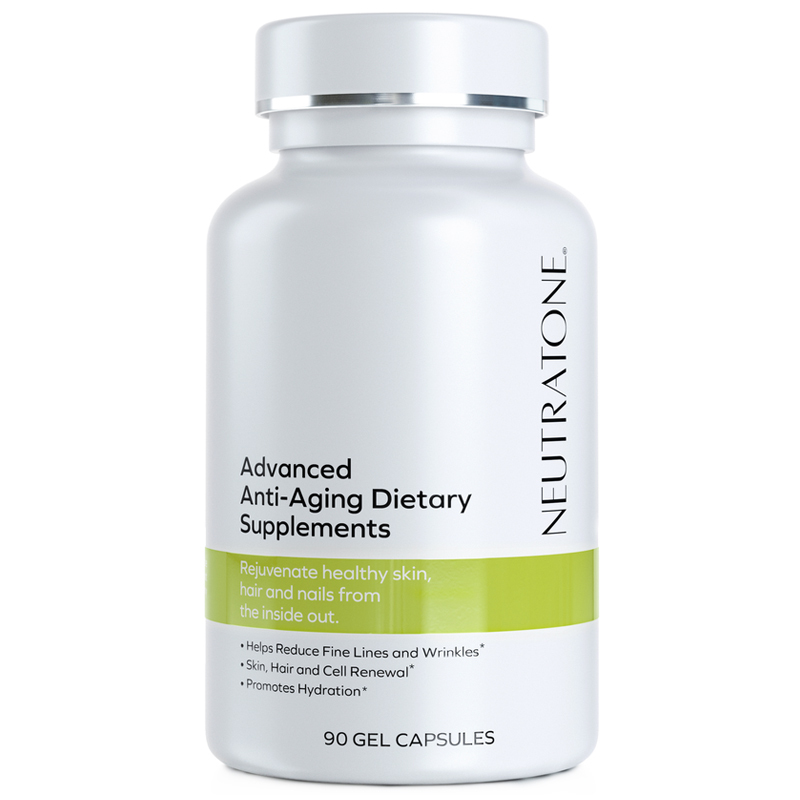 Taken daily as directed, these supplements provide the essential nutrients that keep you looking younger longer. Take one gel cap in the morning, afternoon, and evening to promote healthy hair and lash growth, to strengthen nails, and to brighten skin. Water, Glycerin, Vitamin C (as absorbic acid), Biotin, Zinc Oxide, Copper Oxide, L-Proline, L-Lysine HCL, L-Cysteine, MSM, Hydrolyzed Collagen, Hyaluronic Acid (as Sodium Hyaluronate), Argan Oil, Choline Bitartarate (Lecithin), Horsetail Extract, Red Algae Extract, Soybean oil, Beewax, Gelatin, Glycerin, purified water.